One of the most important parts of youth basketball is safety. No one wants to see a teammate suffer an injury, no coach wants to have an injury happen under their watch, and no parent is likely to tolerate an injury that could have been prevented. By default, playing sports generates some level of risk of injury to the players - however, there are easy steps that can be taken to make the game significantly safer. One of those is to make sure that you have on hand, and use, traction pads. Traction pads prevent slips and falls, which prevents injuries. 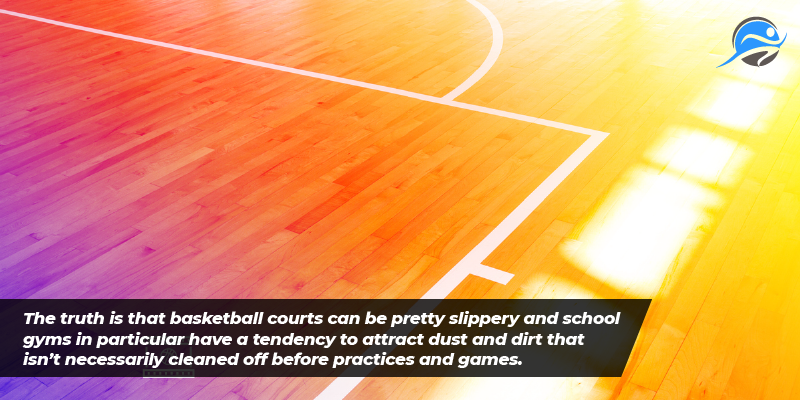 When basketball courts are dirty, athletic shoes pick up dirt and dust which interferes with good traction. Those shoes are designed to have traction on a basketball court and that technology works when the shoes are in great shape and when the court is in great shape. When either or both do not happen, the necessary traction doesn’t happen. Traction is quite literally defined as “the adhesive friction of a body on a surface on which it moves (the traction of a wheel on a rail)”. The outsole traction and grip of a basketball shoe can make or break its on-court performance… Nike has developed a four-part formula to evaluate the effectiveness of traction: surface type (indoor, outdoor or both), design pattern, surface ratio and rubber composition… designers must factor in a wide range of court surfaces from elite pro courts engineered with high-polished maple hardwood, to dusty composite rubber courts sometimes found in elementary schools, to the rugged blacktop found on outdoor courts around the world… Experts say half of a shoe’s outsole surface area should remain in contact with the court at any given time. When designing and evaluating a shoe’s traction pattern and its contact with the court surface, it’s important to factor in three elements: impact, biomechanics and multidirectional movement. 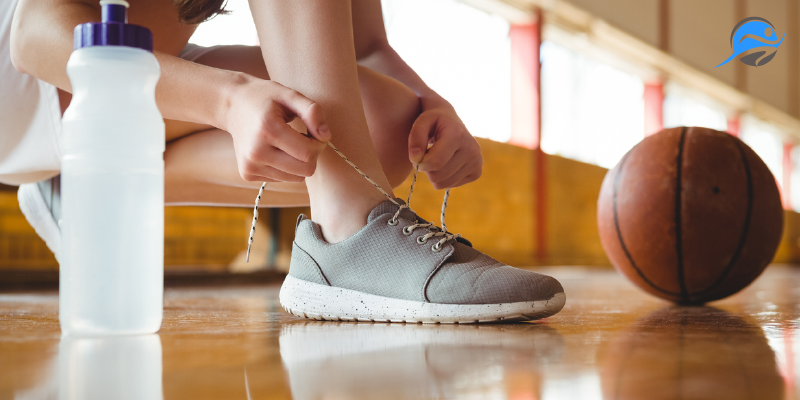 Most athletic shoe companies have some sort of equivalent evaluation system to make certain that their shoes are the quality an athlete needs. As a coach, it is part of your job to make sure that your athletes learn how to move their feet to optimize their safety and plays. In an ideal world all of the players on your team have great shoes that were designed for the specific court they play on so that what you teach them works. (Sidenote, you can learn great drills and exercises through Hustle Fitness). However, for most players, teams and coaches, reality isn’t so perfect. Even the best shoes in the world can break down and become worn in a way that eliminates their engineering and the rubber becomes smooth and slippery. The shoes that a player is wearing were designed for a different surface than they are playing on. The court itself becomes dirty or the surface integrity is otherwise altered which disrupts the shoe’s ability to have traction. The first two factors are simply a matter of matching up the right shoe with the type of courts that your players will be expected to be on for their season and then making sure that the shoes are retained for basketball play to keep the rubber in shape. This is a purchasing and management decision. The third factor is not likely inside of your, or the parent’s, control. The truth is that basketball courts can be pretty slippery and school gyms in particular have a tendency to attract dust and dirt that isn’t necessarily cleaned off before practices and games. If it is your home court, you may be able to manage this to some extent with a little extra elbow grease before the players take to the court, but if you are travelling, or you don’t have an extra hour before court-time, you can’t. So, given that your players are expected to play hard and the maneuvers that they will make on the court require traction for safety, one of the easiest things to do is to have and use traction pads. 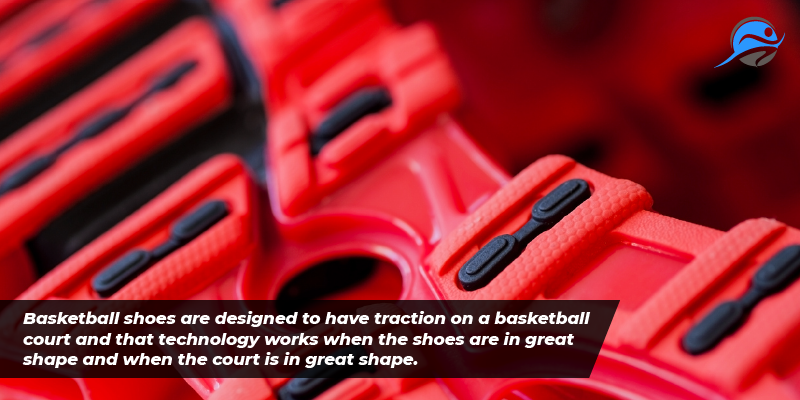 Traction pads work to make sure that basketball shoes are sticky when they hit the gym floor. This won’t make them so sticky that players can’t pivot, but will make them just sticky enough keep them from slipping and sliding - which will not only help them avoid injury, but also to execute plays. Before the advent of traction pads players used to spit on their hands and rub them on their shoes to maintain traction. There are so many reasons this is a worse idea than traction pads (we prefer to not list those because we are sure you can come up with plenty of your own). However, the technology of the Step N’Grip’s Travel Size Traction Pad makes sure that the dust and dirt of the court will not interfere with your practice or your game. All the player has to do is step onto the pad and their shoe will become appropriately sticky. Priced at only about $35, including shipping, and available through Amazon, this product is truly one of a coach’s best friends.